The important role of technological innovation in promoting a nation’s long-term economic growth has been established since the late 1950’s with the seminal work of Robert Solow who developed a formula for decomposing the sources of economic growth that separated the role of increases in inputs of labor and capital, and that of technological progress. Although a growing literature has examined various empirical links between innovation and firm- or market-specific characteristics, rigorous empirical studies that explore how politics affects technological innovation are sparse. Politics is important to innovation because politicians make policy and regulatory decisions that frequently alter the economic environment in which innovative firms operate, which ultimately affects a nation’s innovation and growth. To better explore the affects of policy on innovation, Utpal Bhattacharya, Professor of Finance at HKUST and HKUST IEMS Faculty Associate, empirically examined data from 43 countries to assess whether it is policy or policy uncertainty that has a greater impact on technological innovation activities in different countries. To do so, he estimated a model of the determinants of the innovation growth rate of a given country in a given year adjusted by the mean of the innovation growth rate of said country, controlling for fixed country differences. Prof Bhattacharya finds that policy does not affect a country’s innovation in terms of quantity, quality, or originality, with only 6 out of the 43 countries examined exhibiting any indication that policy correlated to an increase or decrease in such factors. On the other hand, policy uncertainty has a strong adverse effect on a given country’s innovation, with said negative effect most pronounced for the number and originality of a country’s patent filings. Prof. Bhattacharya’s research suggests that, in terms of increasing innovation in democratic societies, it does not matter whether policy originating from the political left, right, or center prevails. Rather, the most significant factor encouraging or discouraging innovation is political gridlock and resulting policy uncertainty, as this uncertainty has real economic repercussions through its impact on innovation. The important role of technological innovation in promoting a nation’s long-term economic growth and competitive advantage has been established since the seminal work of Solow (1957). Although a growing literature has examined various empirical links between innovation and firm- or market-specific characteristics, rigorous empirical studies that explore how politics affects technological innovation are sparse. Politics is important to innovation because politicians make policy and regulatory decisions that frequently alter the economic environment in which innovative firms operate, which ultimately affects a nation’s innovation growth. Motivated by a theoretical model, the present research empirically examines for 43 countries whether it is policy or policy uncertainty that affects technological innovation more. The paper finds innovation, measured by growth in patent counts, citations, and originality, is not, on average, affected by which policy is in place. Innovation, however, drops significantly during times of policy uncertainty measured by national elections. Political compromise, the paper concludes, is a plus for encouraging innovation. Utpal Bhattacharya is Professor at the HKUST Department of Finance. His research focuses on the dark side of finance. He has published in all the top-tier finance journals, and many of the top-tier accounting and economics journals. His research has been featured more than a hundred times in the U.S. media and in the foreign media (including five feature stories in the Economist.) He has been invited to present his research in more than 170 institutions in 24 countries in 5 continents. He teaches in a different country every summer. He has taught at top universities in Argentina, Brazil, China, France, Germany, Holland, India, Indonesia, Italy, Japan, Lithuania, Mexico, New Zealand, Portugal, Singapore, Slovenia, South Korea, Russia, Taiwan and Turkey. In the U.S., he has been a visiting faculty at Chicago, Duke and MIT. His goal is to spread the gospel of honest finance to every corner of the globe. 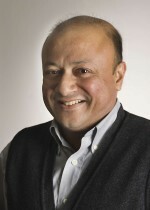 Prof. Bhattacharya holds a Ph.D. in finance from Columbia University. In terms of increasing innovation in democratic societies, it does not matter whether policy originating from the political left, right, or center prevails.